Stevens, M.M.J. (2015). 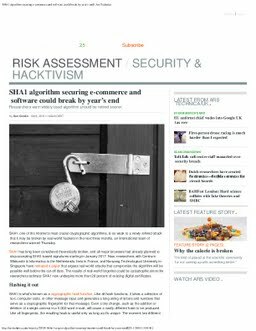 SHA1 algorithm securing e-commerce and software could break by year’s end - Ars Technica.